Whether you’re flying with Icelandair en route to or from Iceland, or between Europe and North America with a short airport stopover, we’d like you to feel as if you’ve learned a little bit about our country during the flight. The music as you board was composed and performed by Icelandic artists. Like it? It’s from our Icelandair Spotify playlist. You can check out the playlist in our in-flight entertainment system. 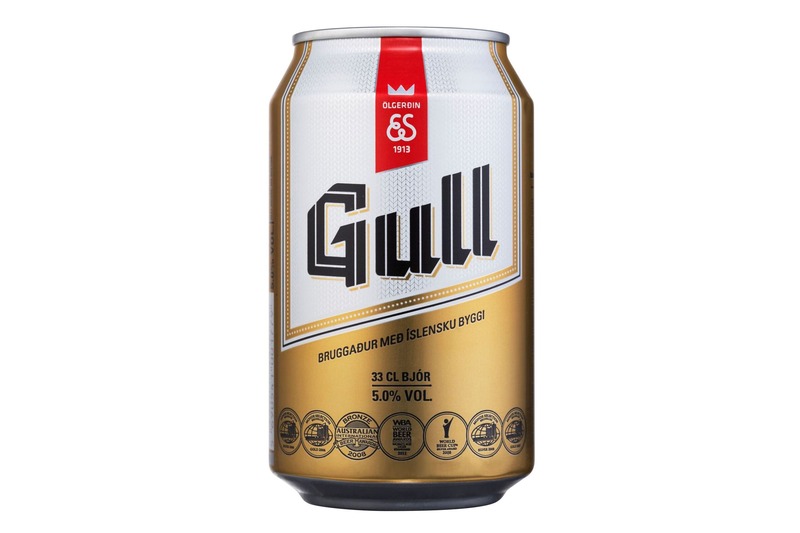 Our menu selection features Icelandic ingredients and snacks like hjónabandssæla (oat-and-jam square) and award-winning lager. We are very proud of our ancient language. You’ll see some samples of Icelandic, which is a North Germanic language, throughout the cabin. Some headrests show Icelandic translations of some common phrases in English, while pillow covers show a popular traditional lullaby both in Icelandic and in translation. The paper cups list the different words used in Icelandic for cups, and the napkins tell you about Iceland’s first settlers. 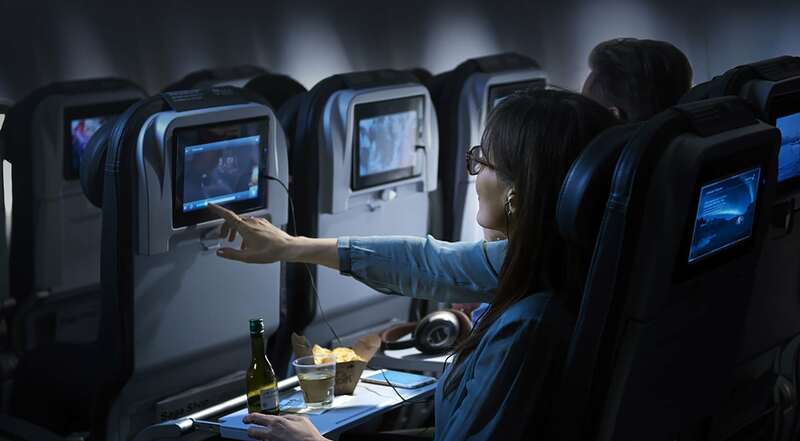 Our in-flight entertainment system features numerous Icelandic films, documentaries and television programs, as well as an exclusive documentary called Unique Iceland, which will introduce you to some of the country’s highlights for visitors. We’re so proud of our volcanoes, glaciers and other natural wonders, that we’ve even named our aircraft after them. After all, Iceland is famous for its spectacular landscapes. Each one bears the moniker of an Icelandic attraction, including the famously unpronounceable Eyjafjallajökull volcano—which actually doubles as a glacier—Vatnajökull, Europe’s largest glacier; Látrabjarg, Europe’s largest bird cliff, and now also Þingvellir, the rift valley where our parliament was founded in 930 AD. At the risk of being immodest, we think our water is the best tasting water in the world. Try it for yourself on the flight. 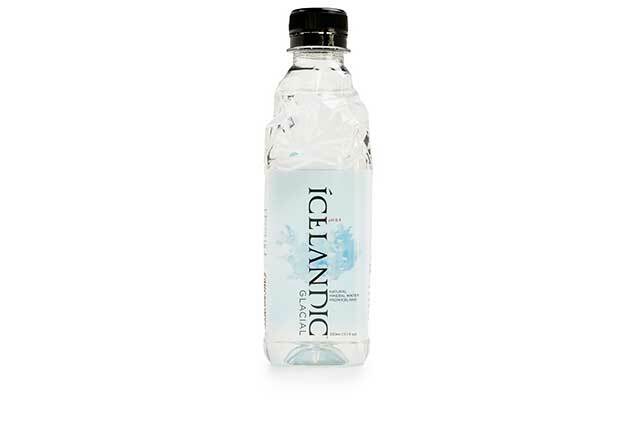 We serve refreshing Icelandic Glacial water throughout the trip. 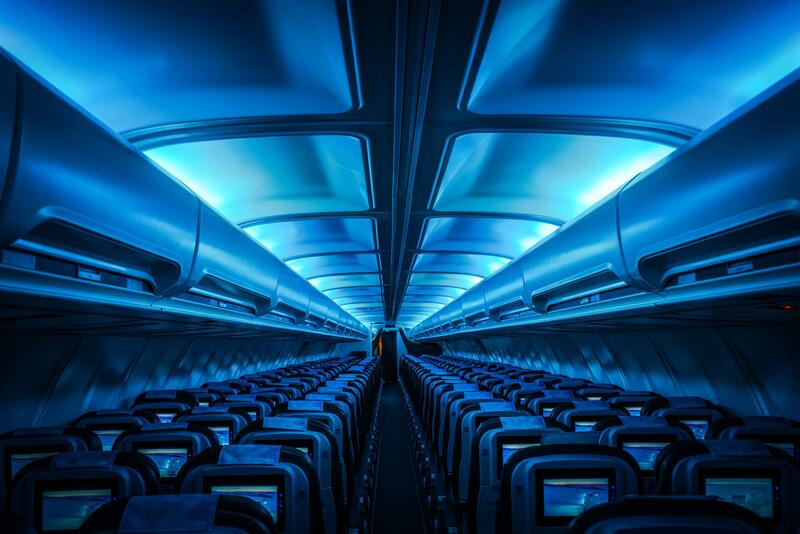 On some lucky aircraft you’ll find mood lighting, like on Vatnajökull: The blue LED lighting in the cabin creates the illusion of being inside an ice cave, while on Hekla Aurora it feels as if you’re watching the northern lights dancing in the Icelandic winter sky. We hope you enjoy your flight with Icelandair, and that you will savor a refreshing Icelandic travel experience.